Home>Unknown>Malaysian Discovery Tours & Travel Sdn Bhd. Malaysian Discovery Tours & Travel Sdn Bhd. Show me directions to Malaysian Discovery Tours & Travel Sdn Bhd. Message Malaysian Discovery Tours & Travel Sdn Bhd. Key contact details for Malaysian Discovery Tours & Travel Sdn Bhd. 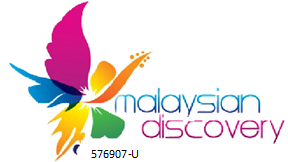 Malaysian Discovery is a duly licensed Tour & Travel Agent specialising in Inbound and Outbound Tour services. We are highly accredited by The Ministry of Tourism Malaysia and have organised numerous tours, conferences, events, exhibitions and company outings and have tailor made the above to cater for various needs and requirements. The company was formed by Mr. Anthony Windson and his wife Dhanalectchumi Krishnan in the year 2005. Both husband and wife have worked in the Tourism Industry for 20 years prior to this. Today with their expertise and wealth of experience the company has grown steadily and earned the trust of thousands of tourist from abroad who visited Malaysia during all these years. It is our pleasure to invite you and your family to discover this beautiful country and make your holiday a memorable one with Malaysian Discovery Tours & Travel. We look forward in welcoming you to Malaysia in the near future.